First, my apologies! I wrote and scheduled this post last Sunday. I worked all day yesterday and didn’t notice it hadn’t gone up. This sure doesn’t bode well for my week! 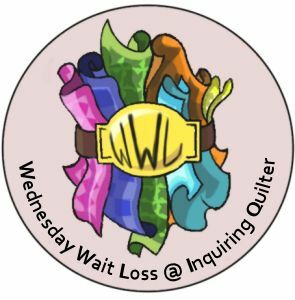 Welcome to Wednesday Wait Loss! I hope you’ll share photos with us of whatever you’ve been working on! 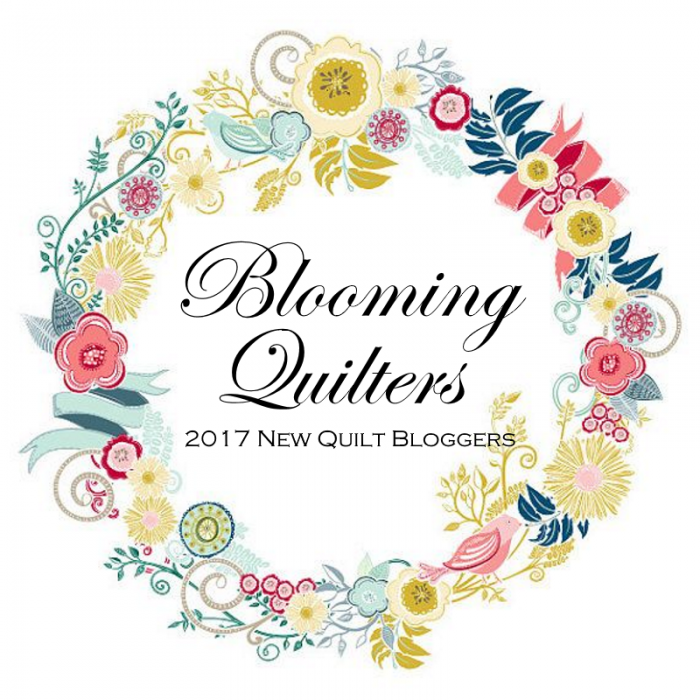 In return we’ll give you encouragement to stop waiting and finish your quilt projects. This week, we’re having a special Wednesday Wait Loss! More on that later. Happy news! I’ve made some progress on my Happy Go Lucky quilt! Week 1 was Greek Cross (Churn Dash) blocks in various sizes—three 6”, one 12”, and one 18”. 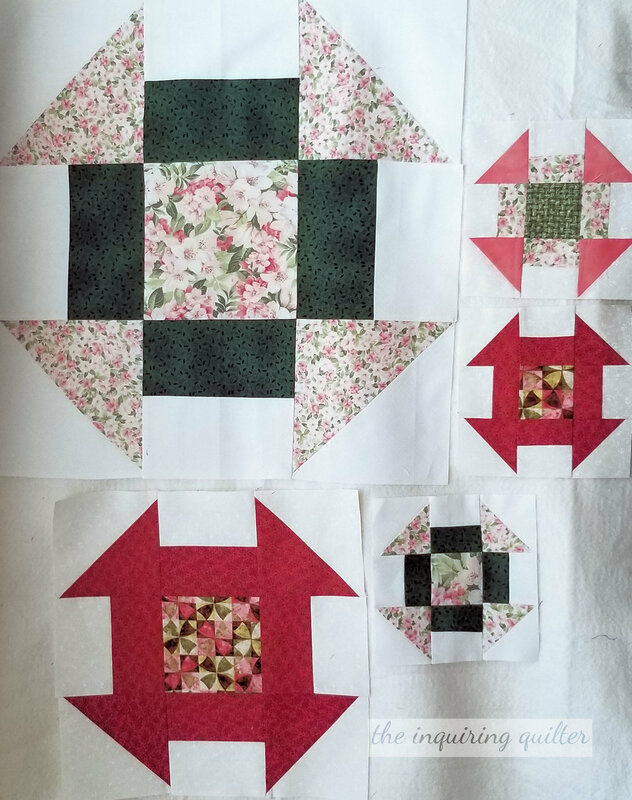 Week 2 was Shoo Fly blocks in two sizes—three 6” and one 9”. 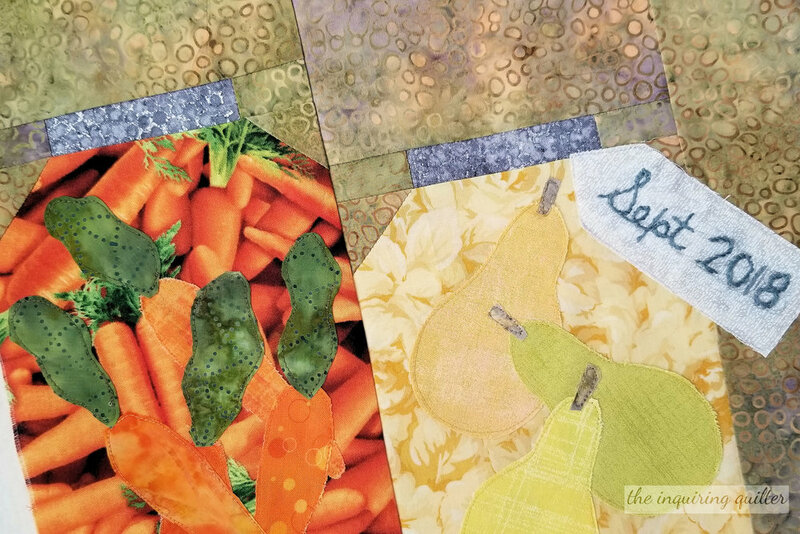 I also made the next block for our Fall into a Quilt Along. 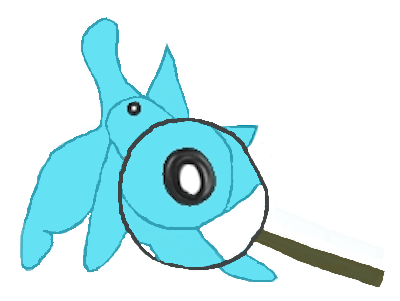 Super cute, and I had lots of fun making it. You can learn more by clicking here. I’ve been working on pattern writing as well, so good progress this week. Well, that was my week! Before we find out what you did this week, let’s take a look at who made this week’s feature. We had some great link ups last week and I can’t wait to share them! First up is Ann @ Brown Paws Quilting. 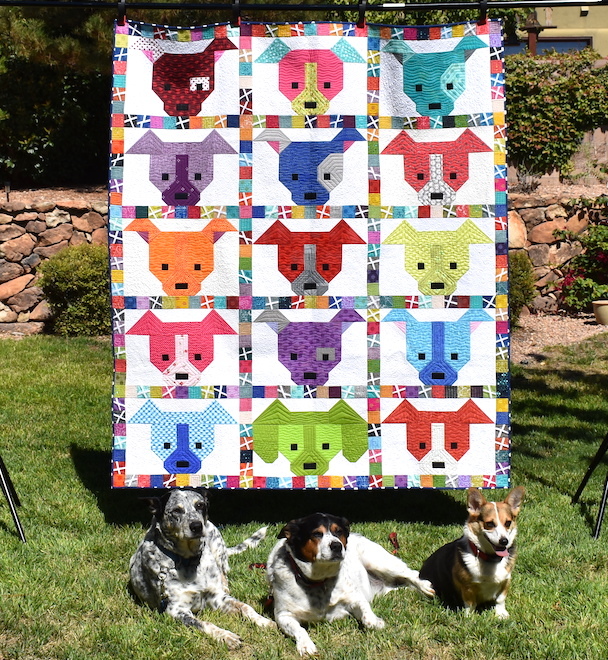 Ann is in Bee Inspired, and last year she asked us for Dog Gone Cute blocks by Lorna @ Sew Fresh Quilts. Ann wanted us to sew her a dog block that reminded us of a dog we knew personally. I made a block to look like my old family dog and you can read about that here. I had to make some modifications—you can find those here. Last week, Ann shared her finished quilt with us. 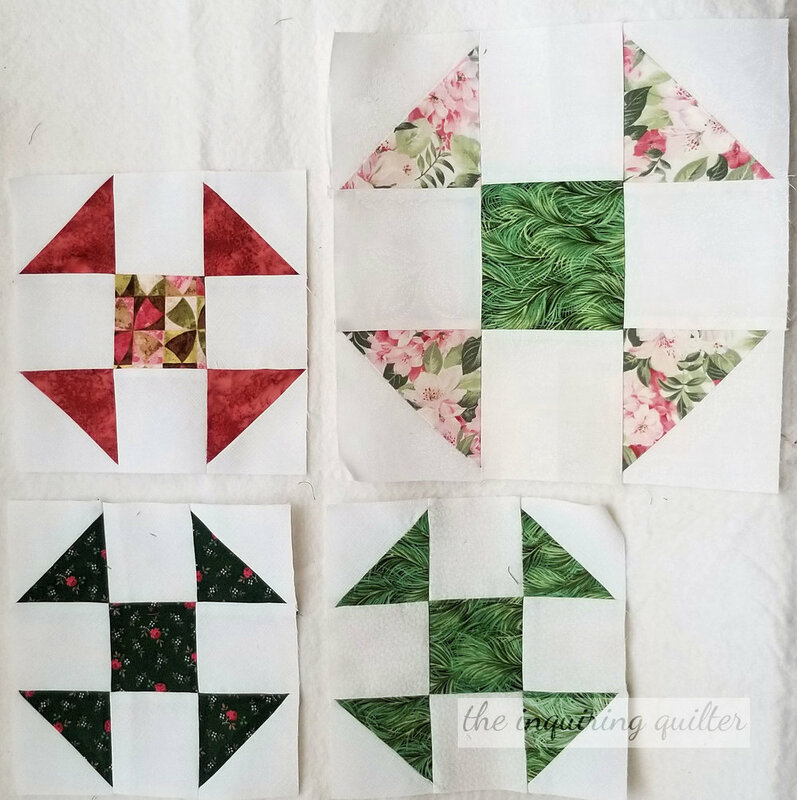 You must jump over to her blog to check out the quilting! It’s so cool. That’s my block in the middle of the bottom row. 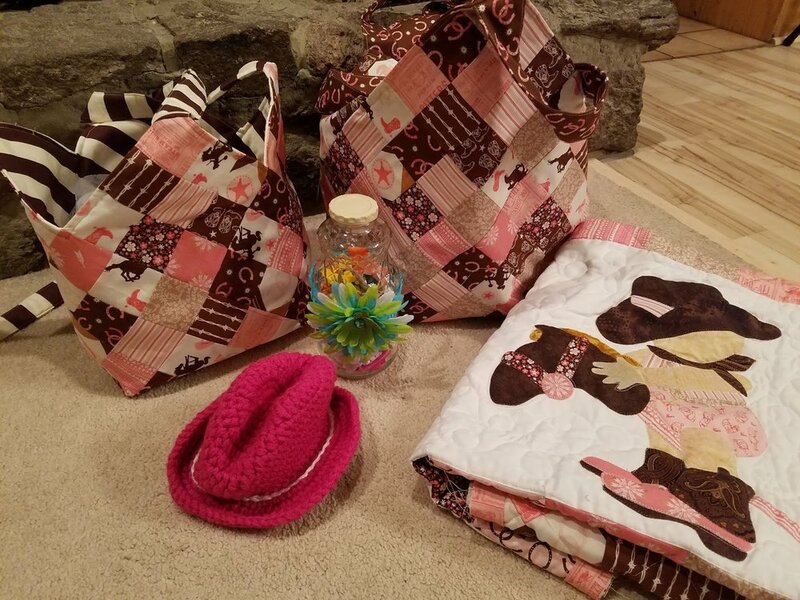 Next up is Deana @ Daughters of Dorinda, who linked up her Finish Along Goal for this month—to make two bags to match the quilt she’d made for a little girl who’s also a cowgirl apparently! Jump on over to Deana’s to see the full quilt. It’s too adorable! 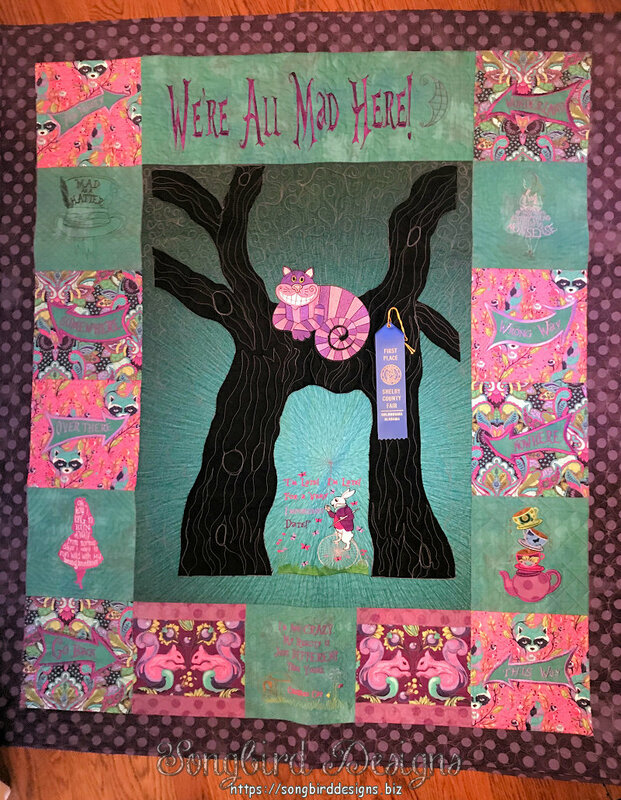 Finally there’s Brenda @ Songbird Designs who shared her Wonderland quilt, which won her first blue ribbon! Pop over to Brenda’s blog to see close-ups of this beauty. Congratulations Ann, Deana, and Brenda! 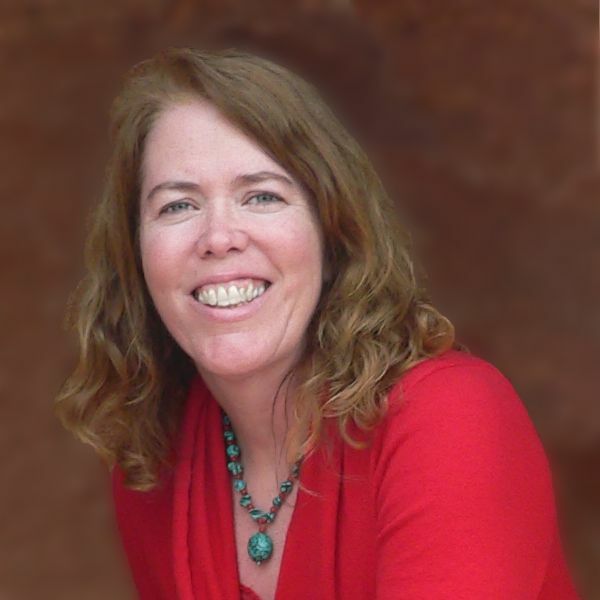 Here's an I Was Featured badge for your blogs. Time for Our Special Link Up! 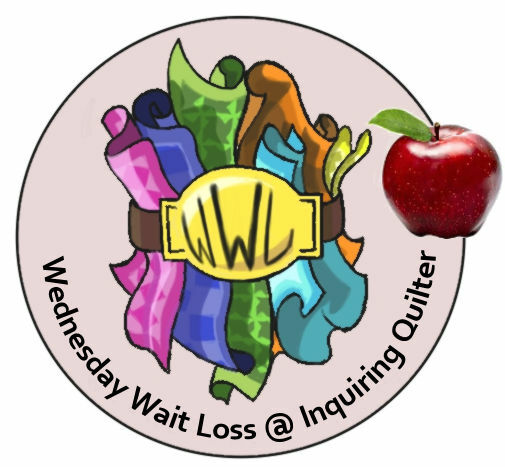 This week on Wednesday Wait Loss, we’re celebrating Back to School quilts. "Back to School" can meaning anything as long as you can link your quilt to the theme with a good story! Me, I'm thinking apples, books, numbers, letters, graduation quilts, chalk boards, and so on. Every link up this week gets one chance to win an Island Batik Stash Builder—a collection of 2-1/2” batik strips. If you link up a Back to School quilt with a story, you’ll get two chances to win. So link up your school quilts or anything else you’ve been working on! To get you in the mood, I thought I’d show you this cute zippered pouch I made. It’s perfect for carrying a notepad and pencil. If you would like to make my school block, it’s on sale in my store. 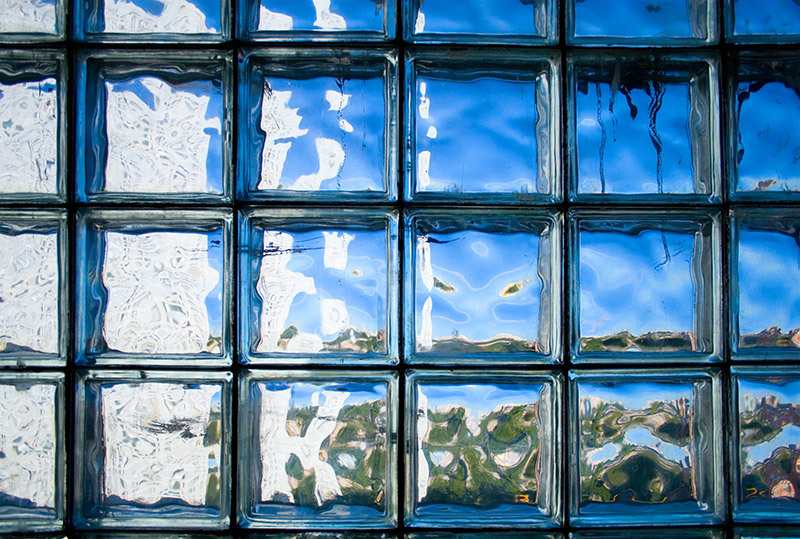 I attended a small parochial school when I was little, and it had these glass block windows. Something about them fascinated my young brain because I clearly remember staring at them sometimes in class instead of paying attention. Anyway, when I designed my Stepping Stones quilt, I must have been channeling that early memory. Stepping Stones is also on sale in my store. As part of my grade school and high school uniform, I had to wear a heavy wool plaid skirt. Oh how I hated that skirt! There was no way to look pretty in it. Still, it surprised me when I couldn’t find a plaid quilt in my collection to tie in with that story. Guess the memory is just too strong! Tell me..what school memories have you saved in a quilt?